What Are Golf Prices in Scottsdale Like? The Greater Phoenix area, which includes Scottsdale, has about 200 golf courses, most of which are public or semi-private courses that anyone can play. Rates will vary throughout the year. You'll find courses you can play in the summer for $25 per round, and courses that will approach $200 per round in peak season. Many of the private courses here even offer certain days and tee times when people who are not members can get in a round of golf. 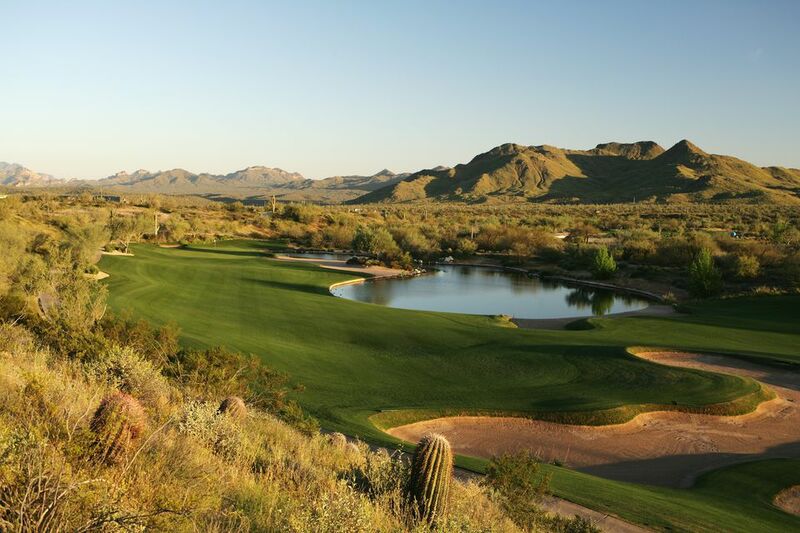 Because Scottsdale and Phoenix are located in the desert, the peak season for both play and rates is going to be different from golf courses in the northern or eastern U.S.
April - May: transition to summer. Green fees at golf courses may change dramatically during these months as the weather starts to warm up and our winter visitors leave for cooler parts. Toward the end of April, we typically begin to see temperatures approaching or surpassing the 100-degree mark. June - August: summer. No doubt about it: it's hot. For much of the summer, the temperatures don't dip below 100°F, and 110-115 is not uncommon. People play golf early, usually starting around 6:30 a.m. Green fees are the cheapest in the summer. Twilight rates after 2 or 3 p.m. are even cheaper, but remember that this is the time when the temperature is the highest. If you don't regularly play in 100+° temperatures, beware of heat-related illness which is very common here. Do not play by yourself in extreme heat. September, October, and November: transition to fall. It doesn't cool down too much in September, but at least it isn't 115 degrees. Rates are typically low. Some courses begin annual course maintenance in September. October and November are typical months for course closures and/or limitations (such as cart path only) due to overseeding and aeration of golf courses. During this time it is important to know that the course won't be as pretty, the greens may be bumpy, and you might be doing a lot of walking. Call the pro shop to find out what kind of maintenance activities are going on that would affect your round. Keep in mind that these are generalizations. Every golf course has its own schedule and seasonal rates for green fees.